This San Jamar cup dispenser includes an adjustable collar, which accommodates cup rims that are 23⁄4 to 37⁄8 inches in diameter. The C3400P is designed for plastic, paper, and foam cups with capacities ranging from 12 to 24 ounces. 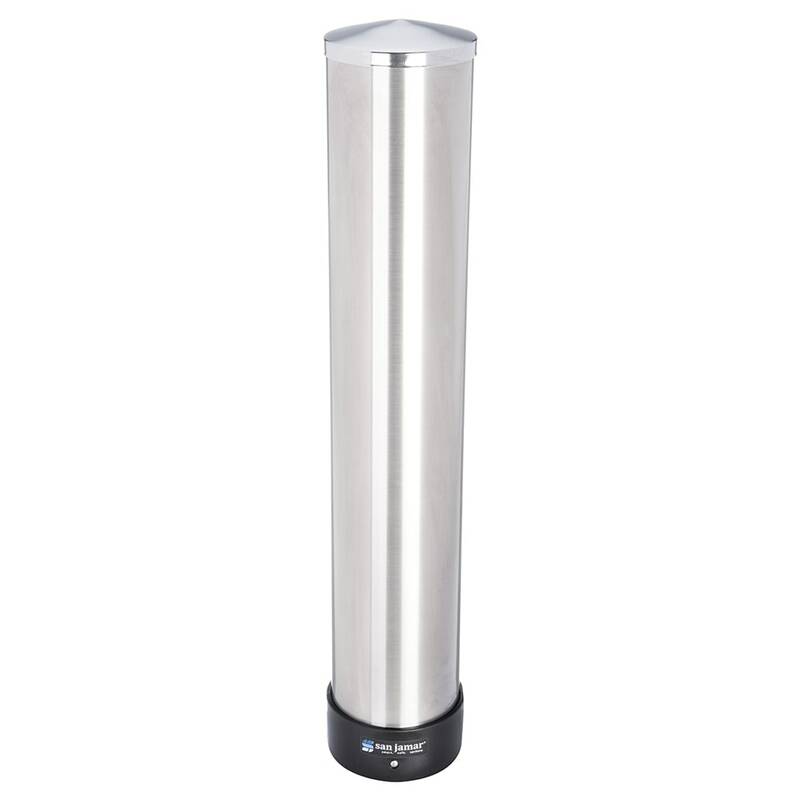 Constructed from durable stainless steel, this cup dispenser is equipped with brackets for easy wall-mounting. Accommodates rim diameters from 23⁄4-in. to 37⁄8-in. 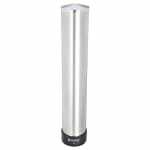 Pull Type Beverage Cup Dispenser, all type cups, adjustable collar conforms to cup size, top loading, cup size 12-24 oz, rim diameter 2-3/4" to 3-7/8", 23-1/2" L tube, 26 gauge 304 stainless steel. Typically ships in 14 days. "A great product for the money. I use it in my vending truck with 16oz plastic cups and it dispenses perfectly. It was very easy to install and..."
"I bought this product to dispense 20 oz plastic drinking cups (fabrikal) in my restaurant. The design is extremely poor. It is impossible to ge..."
"Nice appearance and allowed me to clear my new granite countertop of the pitcher holding cups. We love it." "A great product for the money. I use it in my vending truck with 16oz plastic cups and it dispenses perfectly. It was very easy to install and holds a sleeve and half of cups. I am very happy with the product so far." "I bought this product to dispense 20 oz plastic drinking cups (fabrikal) in my restaurant. The design is extremely poor. It is impossible to get the proper adjustment - cups either fall out or are broken as you attempt to pull them out. May work better for foam cups but I strongly suggest you not purchase for use with plastic cups."